When is a nonprofit a victim of its own success? It might be when wealthy nonprofit colleges and universities have large endowments that attract the attention of political leaders who are looking at how the federal tax code deals with their tax-exempt status. “Despite these large and growing endowments, many colleges and universities have raised tuition far in excess of inflation,” said the letter, signed by the chairs of the Senate Finance and House Ways and Means committees. 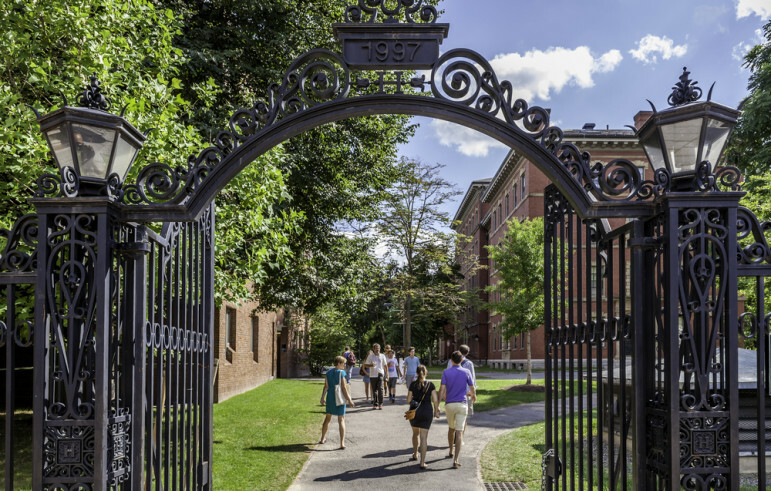 Harvard University, with the world’s largest endowment at $36 billion, was on the list, which comprised 56 private institutions with endowments of $1 billion or more, as were Stanford and USC. “As Congress moves forward with efforts to reform the tax code, it is prudent we gather as much information as possible about how preferences in the tax code are applied,” Senator Orrin Hatch, the Utah Republican who chairs the Senate Finance Committee, added in a statement to the Globe. College officials defended their endowments, saying that they are designed to pay for current operations, including student financial aid, faculty salaries, and research, as well as to generate income that helps to fund operations. College administrators also say that college endowments can be spent only on certain programs because of donor restrictions. U.S. Representative Tom Reed (R-NY) has proposed requiring colleges with endowments of $1 billion or more to either spend about 25 percent of their annual endowment income on financial aid or forfeit their tax-exempt status. The wealthiest colleges have been criticized for having an inordinate share of the wealth in higher education. The paper reports that the combined value of the top one percent of college and university endowments represents about 72 percent of all higher education endowment dollars nationwide. Congress should be asking questions “to gently pressure universities to consider their policies with more of an eye to the general social good,” Brian Galle, a Georgetown University law professor who has studied college endowments, told the Globe. Congressional investigators want to know if the National Rifle Association is in any way complicit in Russia’s interference in the 2016 election, so they have asked for all records pertaining to foreign funders.